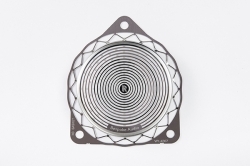 To help automotive manufacturers to further reduce the kerb weight of their cars, Imballaggi Protettivi has developed the Bubble Guard Compact, a triple-layer extruded polypropylene sheet that is characterised by its honeycomb core. Every year, companies like Pröll discover ways to do more with screen printing; lifting interior ambiance without lifting the cost. The Canadian manufacturer of NVD (Nickel Vapour Deposition) nickel shell tooling is presenting its recently launched German division. 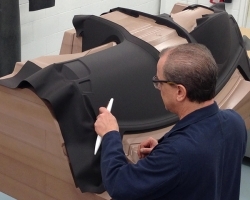 Renowned sunroof expert Webasto will show two of its latest innovations for panoramic sunroofs. 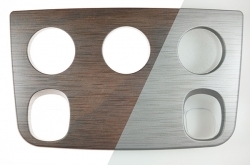 Speaker grilles are often something to be hidden in a dark footwell, but they can also become a stand-out feature of an automotive interior. 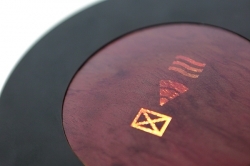 The ActiveDash shows what’s possible with film insert moulding (FIM). 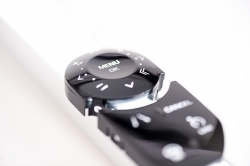 With this product, BÖ-LA was able to unite function, decoration and information in one single, innovative XXL-component by merging displays, trim parts and control elements into smart capacitive surfaces with a free-form, seamless design. 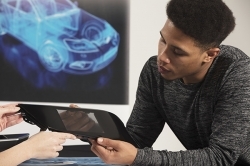 With modern car interiors full of screens the last thing you want is for them to reflect light and distract the driver, so MacDermid Enthone Industrial Solutions has developed a version if its XtraForm Antiglare film that is particularly suited for displays. 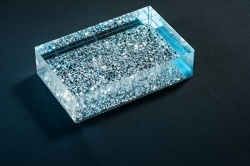 The latest trend for coated plastic is to achieve realistic 3D-depth effects in transparent components. 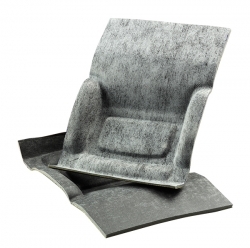 Visit Mondi’s stand to learn about its multifunctional thermoformable skins, which offer lightweight, good sound insulation and simple processing when attached to interior and exterior parts such as headliners, carpets and underbody shielding. 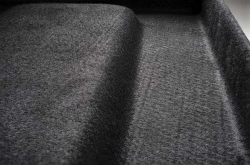 With 70 years of experience in the engineering and production of non-wovens for the automotive industry, ORV Manufacturing will show the latest developments in the field, such as new multilayer media for engine air filtration, as well as MICROPES, a family of products specifically designed for improving acoustic comfort. 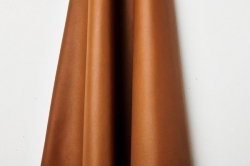 The new ‘zero impact’ leather from Dani is free from chrome and heavy metals and complies with all ISO 15987 specifications. 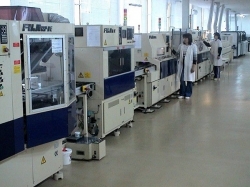 Natgraph will show how its dryers and stackers can benefit the production of decorative trim (plastics and aluminium), sensors, in-mould electronics, display glass and more. 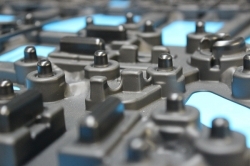 To give slush-moulded parts a touch more flair, Nakan will be showcasing the specialty SpraySol paint for in-mould painting technology dedicated to two-tone soft skins. 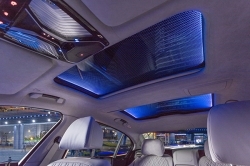 Ambient lighting and mood lighting in automotive interiors have turned into sophisticated systems, but they only leave a positive impact when they’re consistent. Oshino Lamps’ new solutions cater to these requirements. 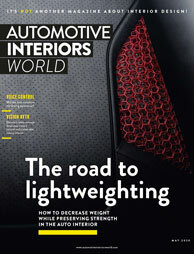 Prettl will be at Automotive Interiors Expo to promote both its Metal Components and its Lighting & Interior divisions. 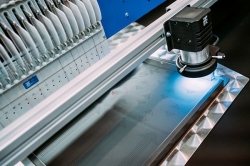 To maintain stitching precision and quality, even on perforated leather, ZSK Stickmachinen has developed the ZSK vision system. 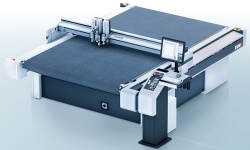 Visitors looking to upgrade either their software or hardware for cutting leather, textiles or other materials should head to the stand of Rebstock Consulting to discover the latest generation of Zünd cutting solutions. 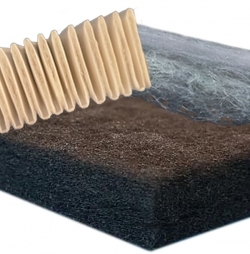 Sefar is introducing heating elements that can be integrated into just about any interior part, enabling new applications that weren’t previously possible. 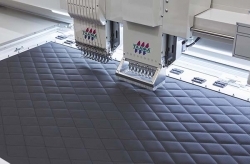 The PAX and HAR industrial embroidery machines from Studio Auriga and Tajima allow complete personalisation of seats and upholstery thanks to integrated devices that perforate, pad and stitch without the need for multiple machines. 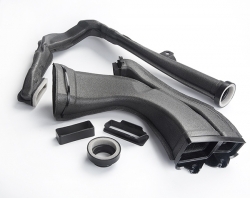 Forming equipment and tool manufacturer Niebling will display a selection of 3D-formed interior parts produced using its precise high-pressure thermoforming machines. 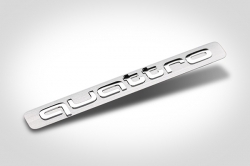 Automotive Interiors Expo is the place to be to discover reliable suppliers of badges. 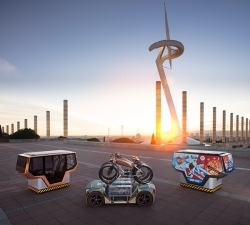 DT metronic is one such company that will be showcasing the wide range of materials, visual refinements and innovative technologies it uses to cater to any design vision or haptic concept. 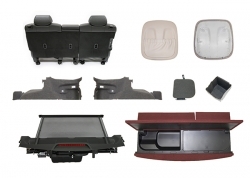 Visitors looking to reduce interior NVH should visit the Avon Group at Automotive Interiors Expo, where the British company will be showcasing its lightweight foam components and other insulation products. Once REACH CrVI compliance had been figured out, two-shot bi-mold technology came on the scene to make the chrome plating of plastic parts difficult again. 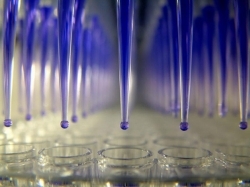 Thanks to its in-house laboratory, Adhetec has developed a range of transparent, colored, white or opaque adhesive protective foils which are already in use on a wide range of production vehicles. To introduce some wow factor into the plastic surfaces of an automotive interior, Albis plastic has developed Alcom LD Deep Color. 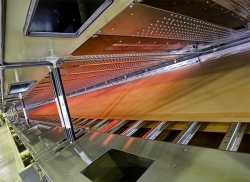 Gemini Group will display a selection of multifunctional cargo management, load floor, and interior trim solutions manufactured using Baypreg technology. 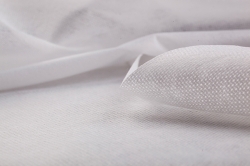 Showing its expertise in the use of the water jet technique for spunlace nonwovens, Lentex will bring a selection of its high-quality nonwoven products. 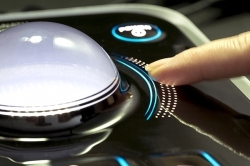 At Automotive Interiors Expo 2019 the Joubert Group will present one of its latest innovations, the integration of optical fibers in automotive interiors. Wood can give an interiors a swish and stylish twist as well as a touch of class, but it can be difficult to work with. Drop by Intops’ stand to see its solution, which involves applying natural wood onto a plastic base, thus combining the style of wood with the ease of use of plastic. 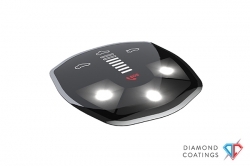 Since screens and ‘smart’ electronics started to dominate automotive interiors, Romanian supplier Electromagnetica has moved into the field of LED lighting, process control blocks (PCBs) and surface-mount technology (SMT). 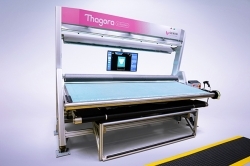 Gemini CAD Systems will present the Thagora leather scanning machine, a conveyorized installation for inspection and digitization of leather hides. 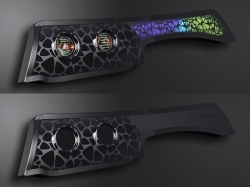 By using an infrared ‘light pen’, augmented reality and a customizable lighting system, this machine allows accurate marking and precise and stable detection. Aluminum trim has never really gone out of fashion, so visit Alanod to discover the company’s latest generation of formable and decorative surfaces for deep drawing. 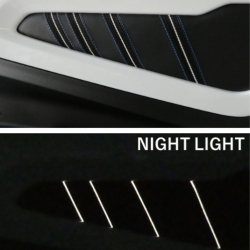 Lights that come on by simply touching the lens are guaranteed to impress car buyers. 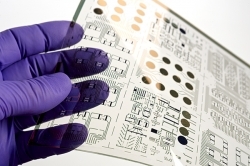 Thanks to being ultra-thin, lightweight, robust and economical to manufacture, printed electronics open a whole new world for components that have to be flexible and spread over a large area, thus complementing silicon electronics. 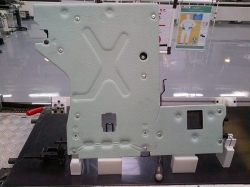 A system that eliminates manual handling of injection-molded parts will be the centerpiece of Buchner’s stand. Ensuring that the finish on plastic interior parts is flawless is vital in modern premium cars and manual handling jeopardizes that. On Canatu’s stand will be a number of new applications showcasing the capabilities of the company’s ‘CNB’ films. In-mold labelling (IML) is a well-proven technology, but that doesn’t mean it can’t be used for further innovation. 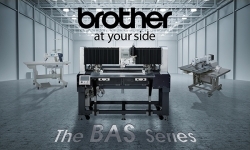 Brother will be promoting the latest additions to its BAS range of automated industrial sewing machinery.